» Deuter Futura Pro 34 SL Review – The Perfect All-Around Pack? Deuter Futura Pro 34 SL Review – The Perfect All-Around Pack? 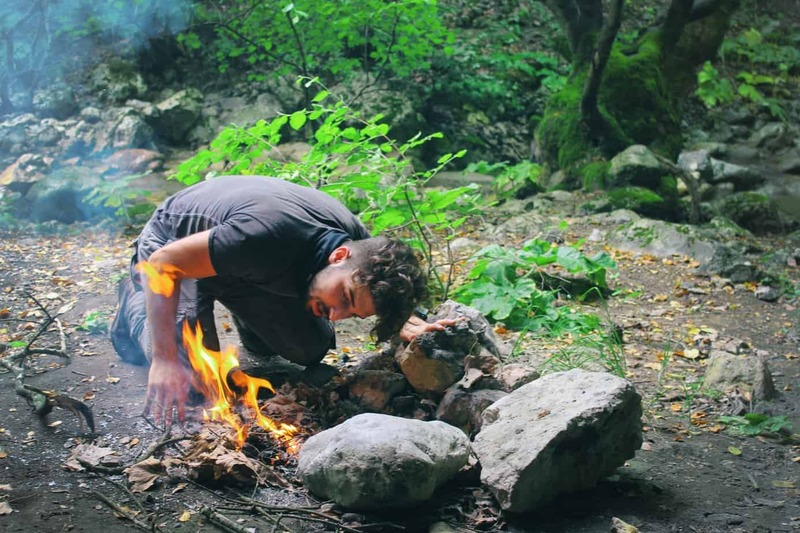 Backpacking through the backcountry or crisscrossing across Europe, whatever your next big adventure may be, finding the perfect backpack is essential to a successful trip. There’s a lot that goes in to picking a pack including finding the right fit, the perfect pack for its intended purpose and it needs to carry comfortably. If you’re going to have just one backpack in your arsenal, the Women’s Deuter Futura Pro 34 SL Backpack may fit the bill. At 34 liters, this mid-sized, slim-fitting, women-specific pack is designed for multi-day use but it’s lightweight enough to avoid being too much pack and a nuisance on day hikes where less gear is required. In the following Deuter Futura Pro 34 SL review, I break down the key components to see if it is worth the price. Deuter is one of the leading brands in the backpacking industry. The German-based company has been designing advanced technical backpacks for more than 110 years. The company prides itself on its ventilation system. Comfort is the key to any great backpack. If the fit isn’t right, a backpack can make a one-mile trek feel like a marathon. Even worse, a poorly fitting pack could cut your trip short if it creates open sores by rubbing against your skin or causes sore muscles. Properly fitting backpacks disperse the weight evenly between the shoulders and the hips. Before buying a backpack its important to try it on and make sure it fits. Consulting with the experts at local sporting good and outdoor stores is always a good idea. The Women’s Deuter Futura Pro 34 SL Pack prides itself on being lightweight and comfortable for women. The Futura Pro line features the Deuter Aircomfort Flexlite Pro System which includes Aircomfort ventilation, flexible carry comfort and the floating Vari Flex hipbelt. Aircomfort system reduces sweat by up to 25 percent and lowers the heart rate and skin temperature over a normal closed back carrying system, according to Deuter. The backpack’s internal frame is made of lightweight, flexible steel. The round steel frame provides ergonomic comfort to the back, optimizing weight transfer to the hip, reducing stress on the back. The mesh back maximizes airflow. Padded shoulder straps are covered with breathable mesh. Men and women’s bodies are built differently and there’s nothing more frustrating than companies who don’t understand the anatomical differences. Outdoor women have long joked that companies just “pink it and shrink it.” Luckily, Deuter created the SL carry system specifically designed to fit women’s bodies (also for men with shorter torsos). Smaller buckles and narrow strap ends to prevent chafing under the arms and eliminate pressure points in the chest area. To prevent slippage on women’s smaller shoulders, the shoulder straps are narrower and shorter. Like most backpack designs in recent years, the Futura Pro 34 SL Pack is hydration system compatible. The inside pocket built specifically to carry a water bladder holds up to three liters. The pack features a hole in the back allowing the hose to be fed through had strapped to the shoulder with Velcro. However, it can be a tight fit and can take some time to feed through the hole. Additionally, there are two mesh pockets on either side that can carry water bottles. Wet Weather Mitigation: Extended backpacking trips require hikers to be prepared for any kind of weather, especially rain. Just an hour of rain showers can cause gear to get wet and remain damp for the remainder of the trek. The Futura Pro includes a detachable rain cover that comes in it’s own pocket at the very bottom of the pack. If it begins to sprinkle, unzip the pocket and pull the rain cover out of the pouch. A clip ensures the rain cover is less likely to be lost especially if it there’s any bushwhacking involved in the hike. Once the sun is back, the rain cover tucks back into the easy-access pocket. Well Designed Sleeping Bag Compartment: Another useful feature is the sleeping bag compartment located in the bottom of the pack. It can be used in multiple ways both to access gear from the bottom while keeping it separate from the pack or it can be unzipped to create one large interior pocket. The Deuter Futura Pro 34 SL Pack was the first backpack I purchased when I moved to Alaska. At the time, I wanted a backpack light enough to use for day hikes but one that also had the capacity to carry fishing gear or go on overnight trips. While carry-on regulations are subject to change and depend on the airline, I have frequently used this backpack as a carry-on. At 34 liters, the backpack has limitations on what it can carry for extended, overnight trips. Its size makes it best suited for overnight trips to cabins or huts, or ones, where there are multiple people and gear, can be spread out across a number of backpacks. For a weekend adventure, the backpack will easily fit a sleeping pad, food, light cooking supplies, extra clothing, a lightweight sleeping bag and small accessories but beyond that, it begins to get a little tight. The Deuter Futura Pro 34 SL Pack is best suited as a weekend bag for hikers looking to take one or two night trips and are prepared to carry minimal gear. This backpack is also great for day hikes requiring extra gear like fishing equipment or climbing gear. 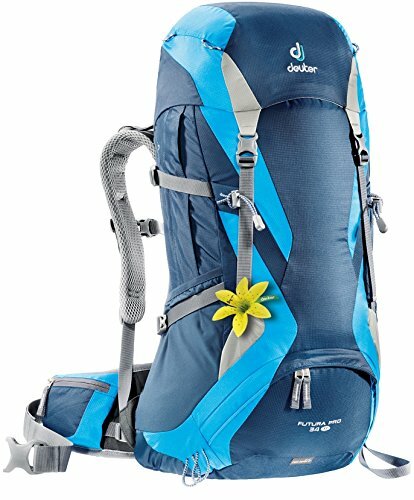 At the time of this article the Deuter Futura Pro 34 SL Pack for women (For the latest prices and discounts, check here). The price is very comparable to women-specific backpacks of the same capacity from other well-known brands like Gregory and Osprey. While it’s lightweight and breathable, at nearly four pounds it can become cumbersome on day hikes. While this may be the perfect all-around backpack if you begin to gather a collection larger and smaller of backpacks you may find that it falls in the middle and it spends more time in the garage than on your back.